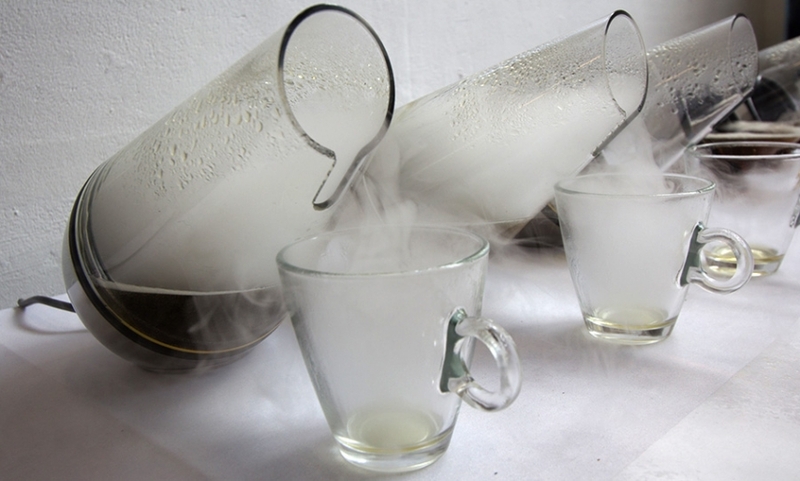 A breathable tea room from Camellia's Tea was one of many highlights at the 2013 Experimental Food Society Spectacular. 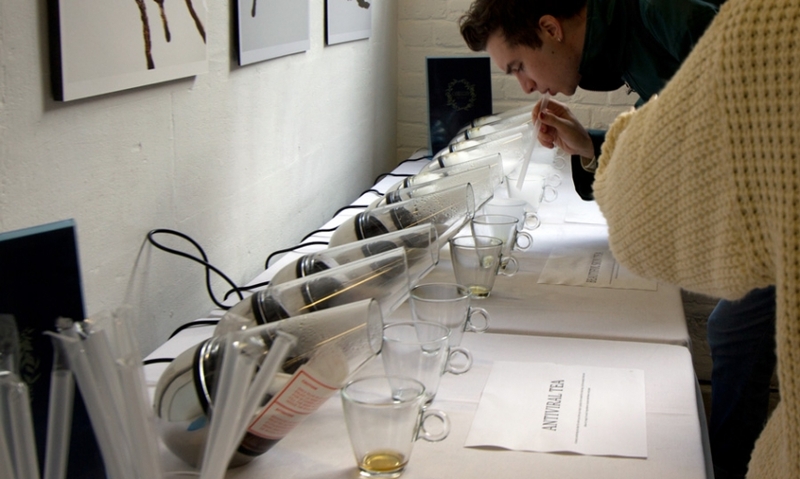 We first discovered the Experimental Food Society in 2011. 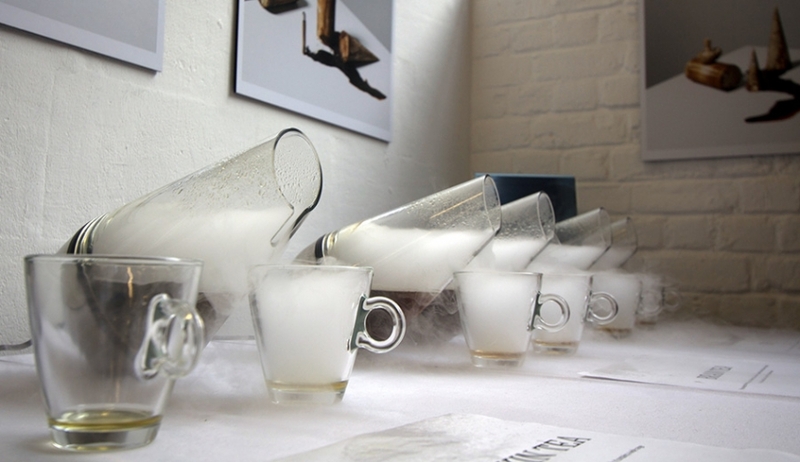 This year, the spectacular was back at the Old Truman Brewery with highlights including this "Breathable Tea Room" featuring inhalable cups of tea from Camellia's Tea Room. An enticing series of swirling, steamy brews. 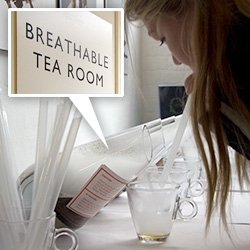 Grab a straw and breathe your tea! 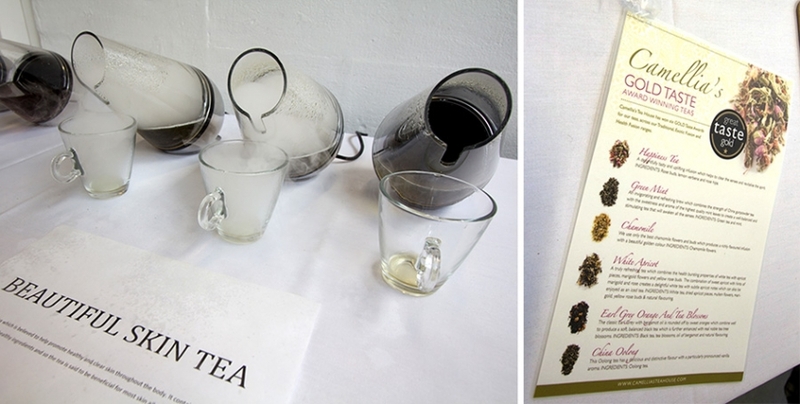 The teas included Beautiful Skin Tea and Antiviral Tea from Camellia's Tea House. Beautiful hot "cups" of tea.